When damage to your vehicle’s windshield, back glass or door windows is extensive, simple repairs might not be enough. It may become necessary to replace the whole piece. Our services are diverse and they include: Windshield Replacement, back glass replacement, sunroof replacement, vent replacement, and any car window issue you are having. All of these are available anywhere in New Orleans, as well. Auto damage due to ice, hail and flying objects is fairly common over the winter months. Even if the damage to the windshield is small enough to be repaired but it interferes with driver’s line of sight, the windshield will need to be replaced because of driving safety issues. 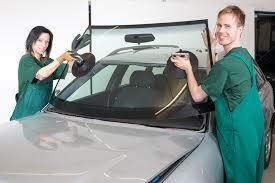 Our trained technicians will have your auto glass replacement finished as quickly as possible and at great rates. Give us a call at: (504) 446-2390.